15 minutes play...BumbleBeans Inc.: what's new? Just popping in to say, your scrap projects have been amazing! I put together a tiny little swap with Kevin the quilter, and well, this is on his way, to his house... I didn't exactly need more scraps. LOL! Speaking of scraps, I've been playing in MY OWN fabrics with Newcastle fabrics! The baby quilt behind me and my tie, are the first peaks at SONNET! (click here) Which I will debuting at Market in Portland this week... They will ship to stores in the fall. Hard to wait for fall...!!! I only had small pieces to make things out of, so I too, am excited to get my big KING sized projects made! This quilt made from blocks in one of the bee's here on 15 Minutes, has finally been quilted. YAY! 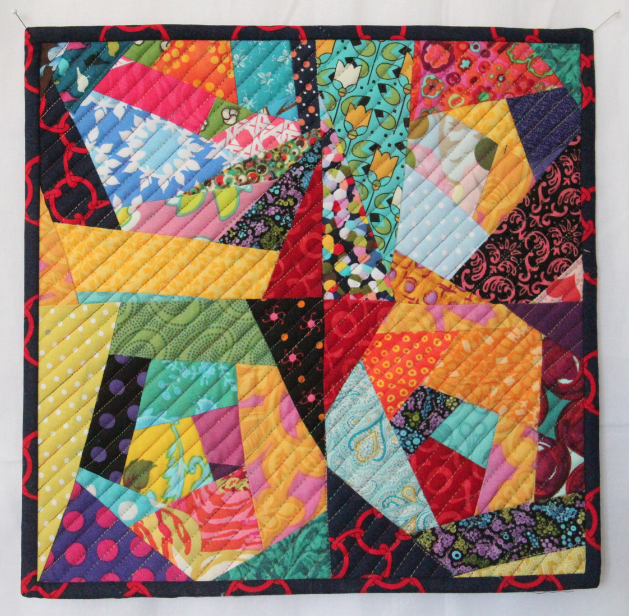 I think Tiny Dancer, has become a new favorite.... do you see your blocks in there? Been doing some 15 Minute workshops lately, and getting all inspired by the students... Just like you guys! Keep on PLAYING... so much fun! After Market, There will be a new challenge coming soon. Stay Tuned! Would you prefer a swap or a challenge? As a reformed swap-a-holic, I have a healthy stash of swapped fabrics and blocks from many many past swaps. Challenges are much more likely to spark my imagination. I prefer challenge. If I get behind it won't affect others. Right now I have 3 challenges in the To-Do pile. HOw very exciting, Victoria! 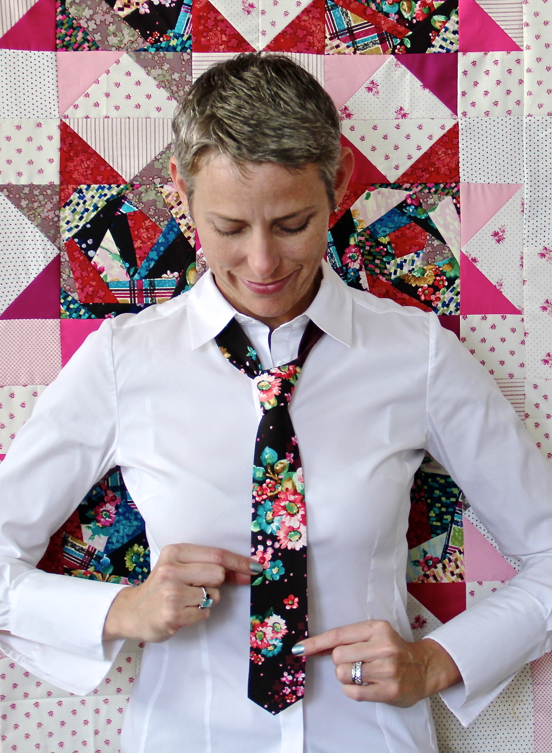 I LOVE the fabric in the tie, and the quilt behind you - ooo-weee! Both are fun but the challenge lights the fire of creativity in a different way. I still have to finish my tea towel quilt! 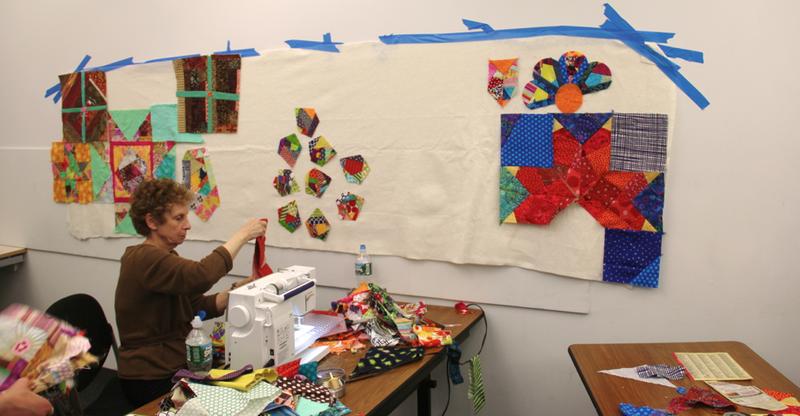 I have many unfinished quilts right now. wow! congrats Victoria! The fabrics are so lovely! A challenge would be great! I cannot resist either one, even though I am in over my head doing both. That tie you made would look great with all my outfits! Do you have instructions? Or a kit? Enjoy your BIG adventure in Portland . 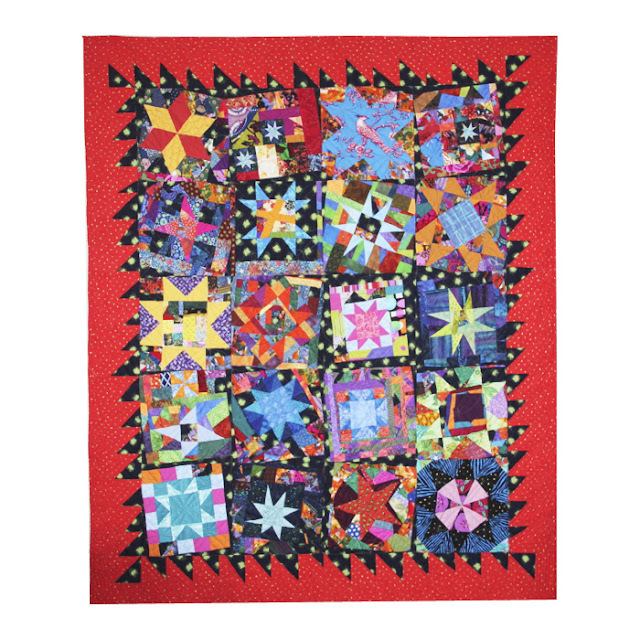 . .
LOVE the mini quilt! Thank you so much! You should have a treat in your mail when you return from market! Hope you enjoy everything! i would like a challenge too-I may even get to do it this time around!!! LOL! I enjoy challenges too, and even better, small and non-time consuming ones! I would love a challenge. I never seem to find one until it is all over. I will wait in anticipation for this one.